Dear handball friends all over the world, this year, the world’s best women’s junior teams will meet in city of Debrecen to compete for the title of world champions and handball-loving Hungary will be in the spotlight of the handball world once again – overall six IHF World Championships, including both indoor and beach handball, were hosted by Hungary so far and I am convinced that the organisers will give it their all to present our beautiful sport in the best possible way. 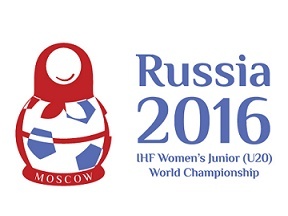 At the 21st IHF Women’s Junior (U20) World Championship, 24 teams will fight and try to dethrone defending champions Denmark. Thrilling matches are guaranteed and it will be interesting to see how the teams have developed since the last IHF Women’s Youth (U18) World Championship two years ago – at which Russia and Denmark, too, played the final match – and which players are on the rise and might even become the stars of tomorrow. The 2018 Women’s Junior (U20) World Championship is another great step for the promotion and development of handball everywhere as it brings our sport in the focus of fans, sponsors and media. We look forward to an exciting competition in the spirit of fair play – may the best team win.